Hmmm, whether to turn left or right? 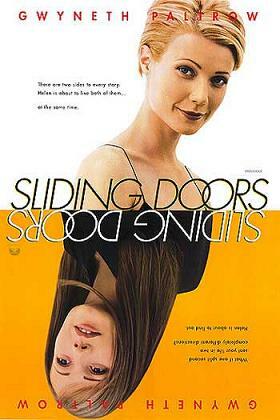 In 1998 I watched the movie 'Sliding doors' and it's underlying question has remained with me: how different might your life be dependent upon even the small decisions you make? The movie follows lead character Gwyneth Paltrow's life according to whether she does or doesn't catch the train home after being unfairly sacked from her job. The movie shows in parallel the very different lives that would follow based upon that one small event. Every day we are faced with hundreds of decisions: from what to have for breakfast, which route to travel to work, and whether or not to ask for that promotion. The thought that every fork in the road could lead to very different destinies could feel immobilising as we consider every possibility and outcome. However there may also be times that by following our usual course of action our routines limit and preclude us from taking a risk with the opportunity in front of us. The truth is that without a crystal ball we can never be 100% confident of the consequences of our decisions or how another decision may have turned out. So the lesson then is to move forward with confidence, knowing that at the time of our decision we did the best we could with the information and options we had in front of us. 1. List your options. Very few situations have only one possibility - brainstorm all the possibilities, even the seemingly unrealistic or 'silly' ones. 2. Consider the advantages and disadvantages of the options - what will be the likely outcomes? what is the 'cost' to you and others of the action? which outcome is likely to receive the most resistance? why? and how could you overcome it? 3. Visualise the outcome. Take the options you have considered and see in your mind what that decision may look like. Consider that decision in future terms - how may you feel down the track if that was the decision you made? 4. Listen to yourself. So often people tell me of times when they didn't listen to their 'gut reaction' and regret their decision. Whilst intuition isn't always right for us, it is certainly can be a good starting point. 5. Implement your decision. Here's your opportunity to take action. With energy and enthusiasm, take action on your decision. Be committed to the choice you have made. 6. Evaluate your decision. This is your opportunity for learning and growth. Was the outcome what you expected? Would you do anything differently next time? What would you do next time? Clinical experience tells me that time spent in the past, in the land of regret and 'what if' only facilitates guilt, disappointment and depression. You made a decision and whether or not you achieved what you hoped for, the question is: what are you going to do now? All you control is in the present. The past is for our memories and the future is for our aspirations. The wonder of life is that it is filled with opportunities and decisions to be made. The doors will continue to 'slide', the journey is deciding which ones you will step through. Achieving those new year resolutions (in June)! Around December 28 each year I receive phone calls from journalists seeking comments regarding New Years Eve. In particular, New Years Resolutions and why we are not successful in keeping them! Each year my answer is the same, most people don’t spend enough time planning for the changes they intend to make. Behaviour change can be tricky – it isn’t just a case of deciding you’d like to start something new or tweak something you’ve been doing and then it just happening. The reality is that for behaviour change to stick it requires thought and planning. You want to start or change the way you currently do something, perhaps you want to start exercising or improve your food choices. Your first consideration needs to be: Why haven’t I been doing that behaviour prior to now? The answers are crucial, because in part they will help you to understand your barriers to change. When we know our barriers to change, we can plan ways in which we will overcome them. 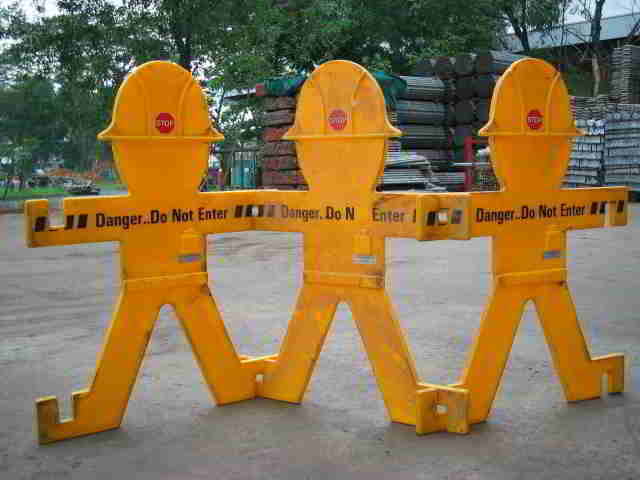 Consider the barriers below and some possible solutions. The morning is the only time I have to exercise, and I don’t like exercising in the mornings – it’s hard to get up! Lay your clothes out the night before. Set the alarm and remind yourself that once your feet touch the floor, the hardest part is done! I’m not ready to start exercising, but I want to some day. Perhaps start by increasing your incidental exercise – park further away at the shopping centre, hop off the bus one stop earlier, take the stairs rather than the lift or escalator. I feel tired and sluggish in the afternoons and a chocolate bar always makes me feel better. The sugar hit from the chocolate bar will be short lived – perhaps take some nuts or fruit or a yoghurt to work ready for your afternoon snack. Once I start a packet of biscuits, I can’t stop If you’re going to have a biscuit, take what you want to have out of the packet and put the remainder away in a slightly inconvenient spot – the harder you have to work to get to it, the more time you have to think about it and may change your mind. 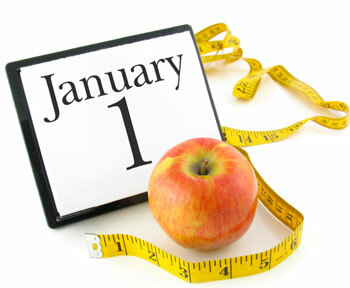 Do you make new year resolutions in 2011? I wonder what you were determined to do 6 months ago? Did you do it – for a while? Are you still doing it? The more time you can spend planning for how to make change work, the more likely you’ll achieve your goal. And of course the good news is that change can start as soon as you're ready ... no need to wait until December 31 to start planning! Next week we’ll discuss the language around change. 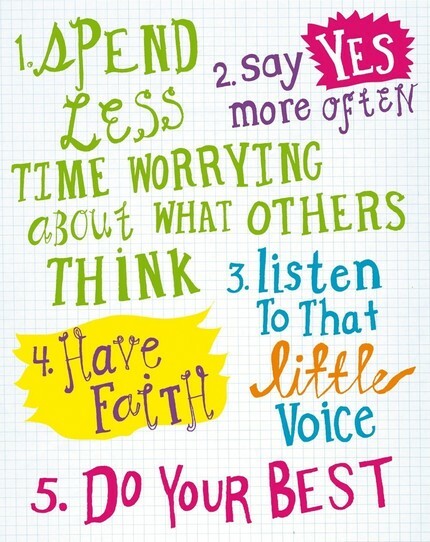 With a few simple phrases you can significantly increase the chances that you will make those changes. Reknowned for his wisdom, Winnie the Pooh is certainly well placed as the smartest bear (at least in the hundred acre wood)! When we launch on a new journey the crucial first step is to know where you are going - else how will you know when you get there?! We would never consider taking a trip on a plane, train or bus without knowing where the journey will take us. Yet somehow many of us can travel through life without a particularly clear idea or plan for where we would like to finish up. The research in the area of resilience is clear, to have a sense of 'purpose' is a protective strategy to help us survive the bumps, crashes and highs of life. The challenge for us in our day to day lives is how we live consistently with our purpose and goals, and keep them firmly on our radar. Commencing this blog is an example in point. It has taken me some time to put fingers to the keyboard to commence this first post. 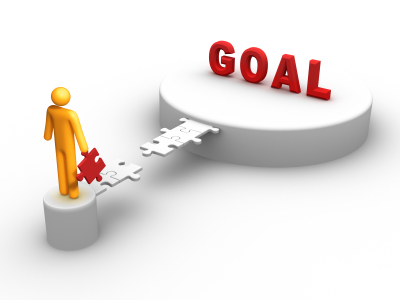 That within itself illustrates one of the key points of goal setting ... gettin g started is sometimes the hardest part! Knowing what you want to achieve, the standard you wish to reach, why you want to make those achievements and what it's going to take to do it, particularly when the bumps in the road come along is what determines our level of success. Sometimes our goals are very clear - I want to race 100m at the Olympics or I want to be a teacher; and at other times they have greater ambiguity - I want to become a better cook. Ideally the great clarity and specificity we can put on our goals, the clearer we will be in our path towards achieving it. However, life is not always black and white and sometimes our goals show real and important shades of grey. So, I know I want to write a blog, write on it regularly, and have some idea as to what content, themes and direction I want it to take - but as for what it will develop into and what shape it may take, of this I am less sure. It is that uncertainty that I need to become comfortable with. The clients and organisations I work with constantly remind me that it is uncertainty, lack of control, and lack of predictability that can cause ones wheels to become loose from the wagon. Will you be making a new year's resolution this year? For most of us it's pretty easy to identify areas of our lives we would like to improve, however sticking to those resolutions can be harder. To read more, click here.